Whether it's white, red or sparkling wine you're tasting, you'll always be ready with the Vinoteque six piece tester glass set from Luigi Bormioli. 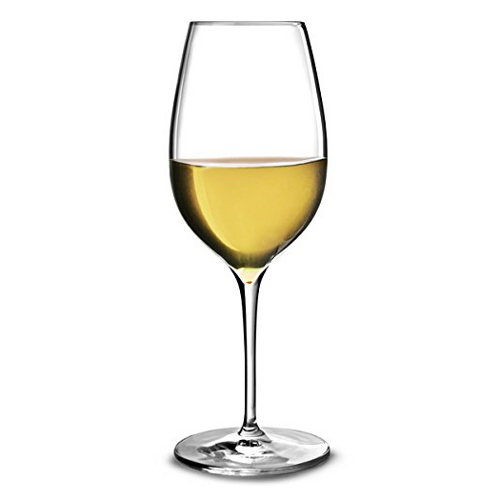 The lead-free crystal glass is blown from titanium reinforced material, making it break resistant and dishwasher safe. The shape is specifically designed to cater to any wine type and become a precision, universal tool. The indentation in the bottom of the bowl, also known as the epicure, allows for the release of perlage in sparkling wines and the examination of color, scent and sediment. Founded in 1946 by Mr. Luigi Bormioli, Luigi Bormioli is the world's leading glassware manufacturer located in Parma, Italy. Today, the Bormioli family continues to run the company and uphold the original mission of its founder: a commitment to great design, traditional Italian craftsmanship and new-age glassmaking technology to create beautiful glassware of the highest quality. The glassware resulting today rivals the finest crystal in appearance, and is lead-free, affordably priced and widely available.